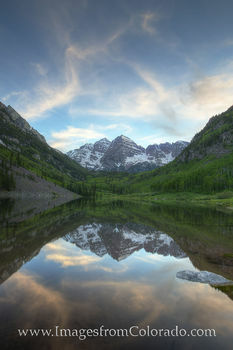 The Maroon Bells, two of Colorado's 14,000 foot mountains, are the most photographed mountains in the state. 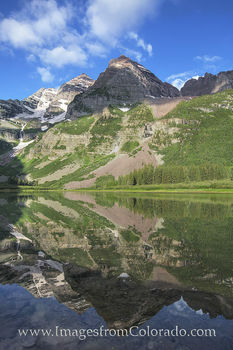 These two summits dominate the skyline from the shores of both Maroon Lake and Crater Lake. 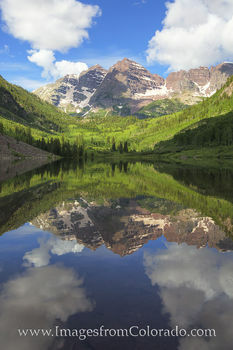 Close to the quaint and glamorous town of Aspen, the Maroon Bells Wilderness Area is home to some fantastic hikes and breathtaking views. 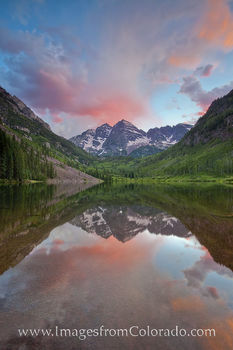 For those souls brave enough to test the crumbling rock of the Maroon Bells (North and South Maroon Peaks) and Pyramid Peak, three Class 4 climbs await. 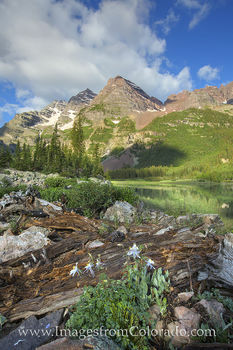 In the spring around Maroon Lake, wildflowers fill the meadows and moose frequent the area. 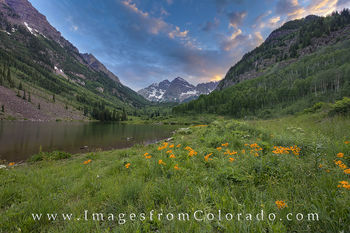 In the fall when the aspen turn gold, photographers and tourists line the edges of the lake to take in one of the best scenes in the state as first sunlight each morning turns the peaks of the Bells a bright orange. 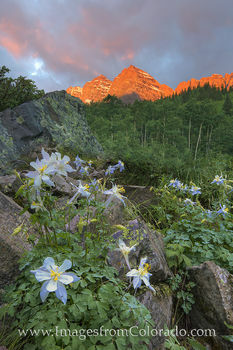 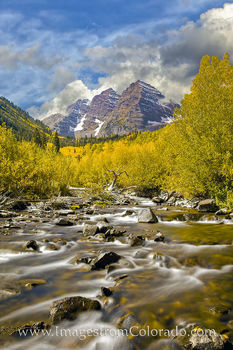 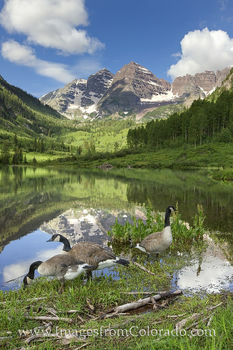 The Maroon Bells Wilderness is just not the iconic mountains of North and South Maroon Peak. 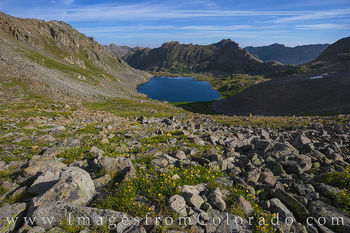 High passes and trail, as well as several 13,000' peaks, reside in the area. 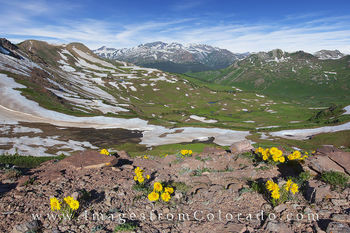 Two of the more beautiful passes are Electric Pass (13,500') and West Maroon Pass (12,500'). 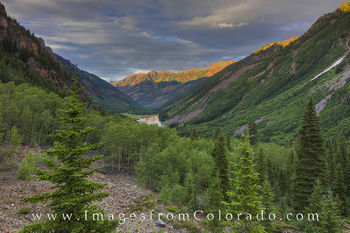 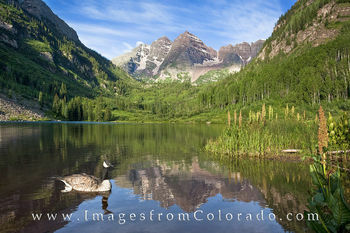 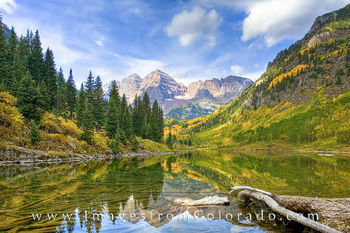 Both provide sweeping views of the Maroon Bells and rocky mountain landscape in the Elk Range. 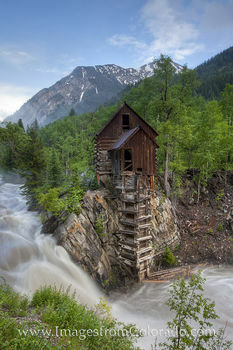 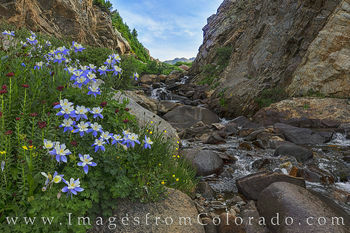 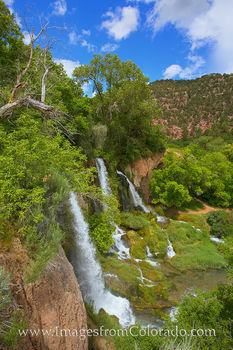 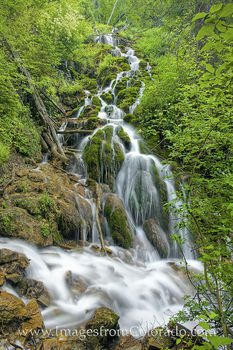 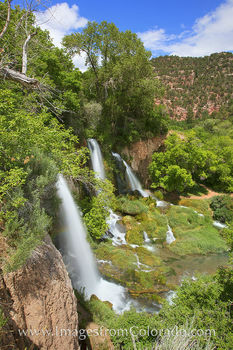 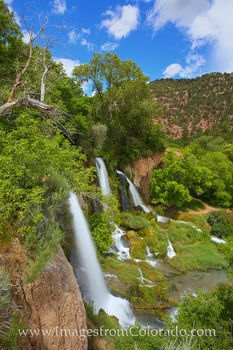 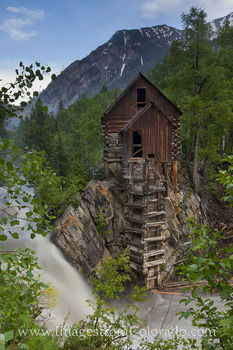 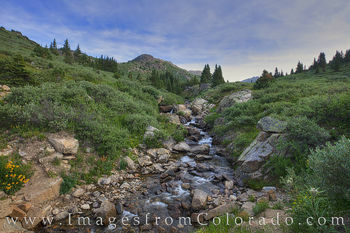 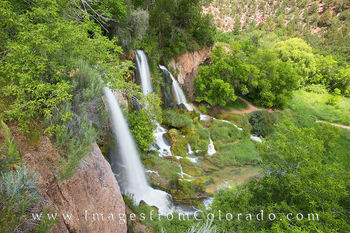 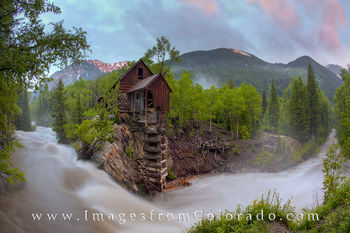 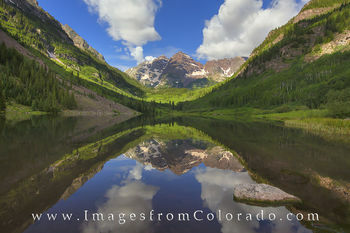 Included in this gallery are also areas within a short drive of of Aspen, including the Crystal River (home of the iconic Crystal Mill) and Rifle Falls, just west of Glenwood Springs, and Hanging Lake, just east of Glenwood springs. 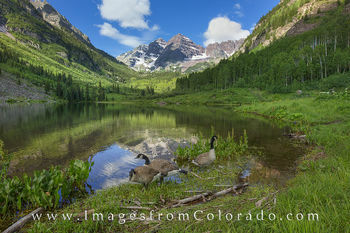 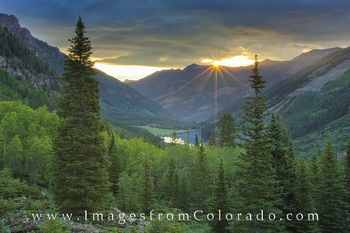 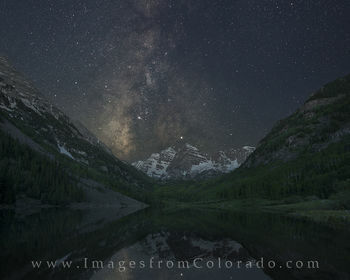 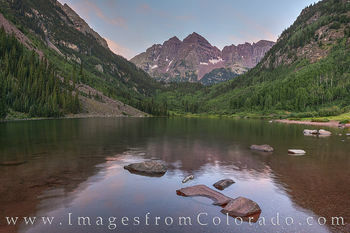 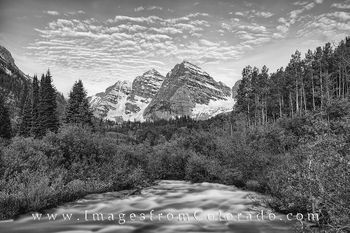 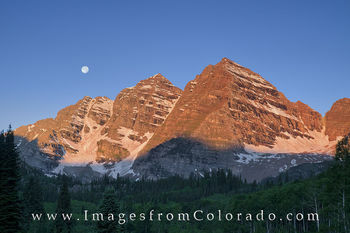 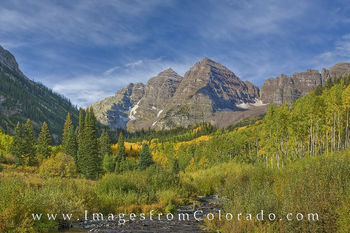 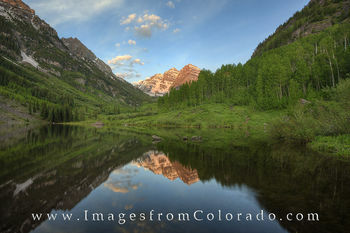 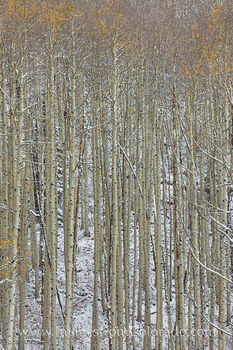 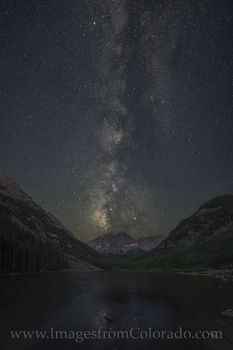 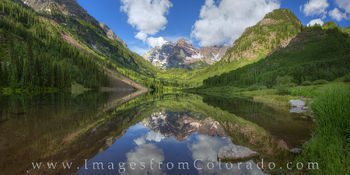 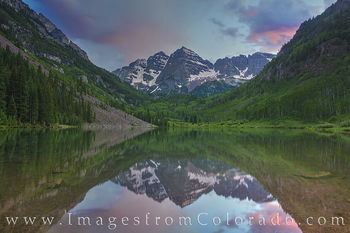 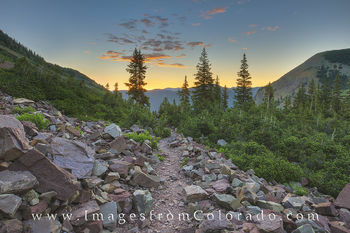 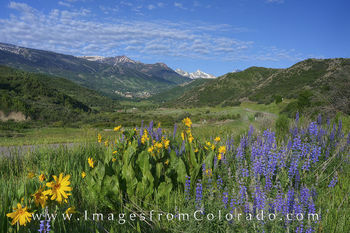 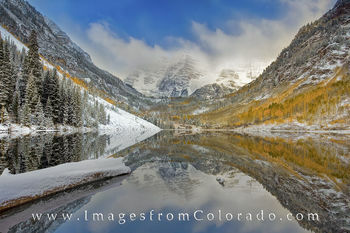 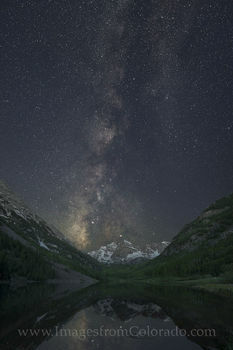 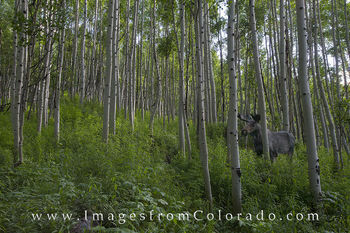 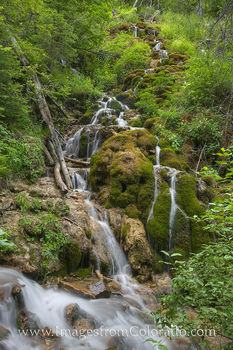 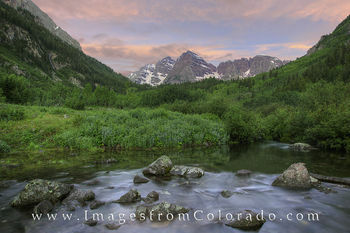 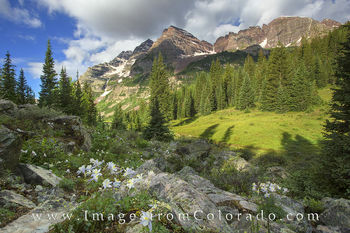 I hope you enjoy these images from the Maroon Bells and surrounding area. 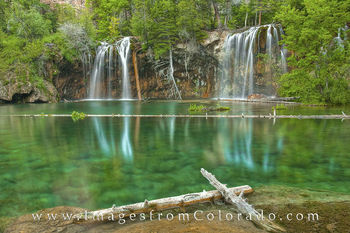 If you have any questions, please do not hesitate to contact me.